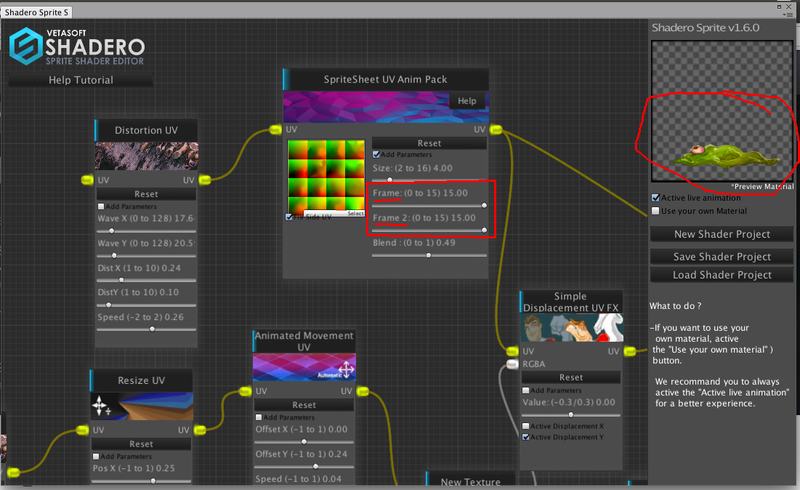 In the editor you can set a specific frame set as in on the "SpriteSheet UV Anim Pack" there is "Frame" and "Frame 2" circle in the image. The sheet is 4 by 4 so that makes me think it is 0 based integer to 15, in any case if I set the "Frame" and "Frame 2" I get a nice flat slim. How do I make this animation just repeat until commanded via script? In order to understand, what do you mean about repeat the animation ?